ChiIL Mama : Happy 100th Birthday Today, Girl Scouts & Happy 11th to My Son! Happy 100th Birthday Today, Girl Scouts & Happy 11th to My Son! 2012 is a momentous year. 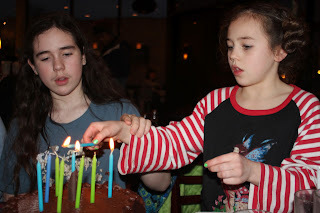 Today, March 12th, The Girl Scouts turn 100, and my oldest son turns 11! Earlier this month, on my little sister's 40th birthday, March 4th, Chicago turned 175! We'll have loads of Girl Scout features throughout the spring at ChiIL Mama, including an exclusive video interview with our Girl Scout chapter CEO, and the director at Journey World. We'll also have cookie updates, photo filled recaps of scout events including the Wolves Hockey Game, Snoozeum at MSI, Ice Skating at Skatium in Skokie and so much more! So check back like we vote in Chi, IL...early and often. Tonight--100th Anniversary Promise Circles all over the world! Here's the info on our closest. For all locations and details click here or check 'em out on facebook and twitter. 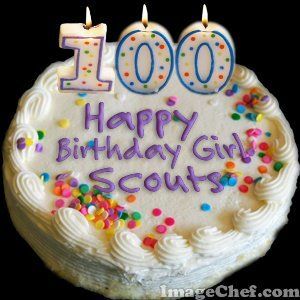 On March 12, 2012 at 7:12 p.m. (19:12 in military time) join your fellow Girl Scouts as we, together, participate in a Promise Circle celebrating the 100th birthday of Girl Scouts. 1) Family & friends! The more the merrier. 2) Each girl should have a flashlight for use during the celebration. 3) We would also like everyone in attendance to bring a written "wish for Girl Scouts future" to deposit in our time capsule as they leave. down to the 20:12 military time for our 100th year. Free! Bring the whole family! Extra buttons ($1) and flashlights ($3) available for purchase at the event. This event is an ALL WEATHER EVENT and will be OUTSIDE so please dress accordingly. Parking is available for $6 in the Sheffield Parking Garage located at 2331 N. Sheffield or the Clifton Parking Deck located at 2330 N. Clifton. It is also easily accessible via CTA: just one block south of the Fullerton Red/Brown/Purple Line stop.